To begin this year POH decided they had enough of being 'like Marmite' and wanted to be thought of as number one in more then just the dark places on the forums that only ISD and trolls dare tread. Saeger1737 a director in POH sent out an alliance wide mail to this effect which was a masterpiece of prideful RP'ing and sheer arrogance all blended together into what is now quite a comical mail. What Poor Saeger never realized what that this was a Marmite crew that was battle hardened and had weeded out most of its weaknesses while POH had undergone rapid expansion moving away from the core concept of 'a few elite players'. Seemingly overnight POH had gone from being forced to dock up when Marmite brought a fight (blob) to being able to field a force that could match both size and quality of Marmites T3 Doctrine. The War went live and both sides went into high alert. Nobody wanted to be 'that guy' who got first blooded. Thankfully Noragen Neirfallas (AKA me) found the answer that was both embarrassing and a nice way to ease into the war Stupid Loss 1, Stupid Loss 2. 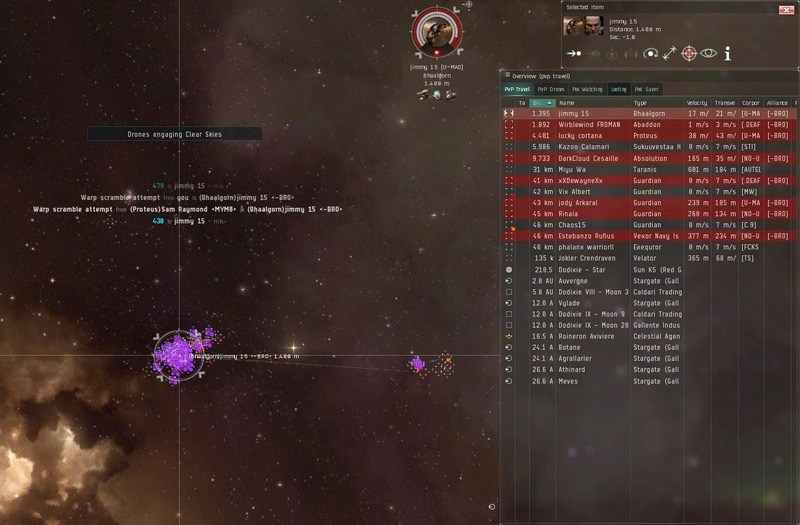 Infuriated by not getting first blood POH responded with full force and brought a fleet to Amarr to taunt us and try to make us do something stupid. But Marmite only smiled at the grief they had inflicted and proceeded to plot and plan out the next step in the war. As we jumped in the bait fleet of people so juicy they could not be ignored into the home system of some of the most arrogant POH members the rest of us patiently waited. Our Bait fleet consisted of 4 Guardians, 3 Proteus, 2 Lokis and a Neut Legion. 20 minutes of taunting followed while the bait sat on the sun with some neutral boosting/jamming alts in a logistics heavy formation. Finally they undocked and met our force on the sun. They brought a Bhaalgorn, Proteus, Absolution, Abaddon, Vexor Navy Issue, Falcon, 4 in corp Guardians (1 was late to the party warping to god only knows where), 2 OOC (out of corp) Guardians and one OOC Exequror (and we thought we brought heavy logistics). 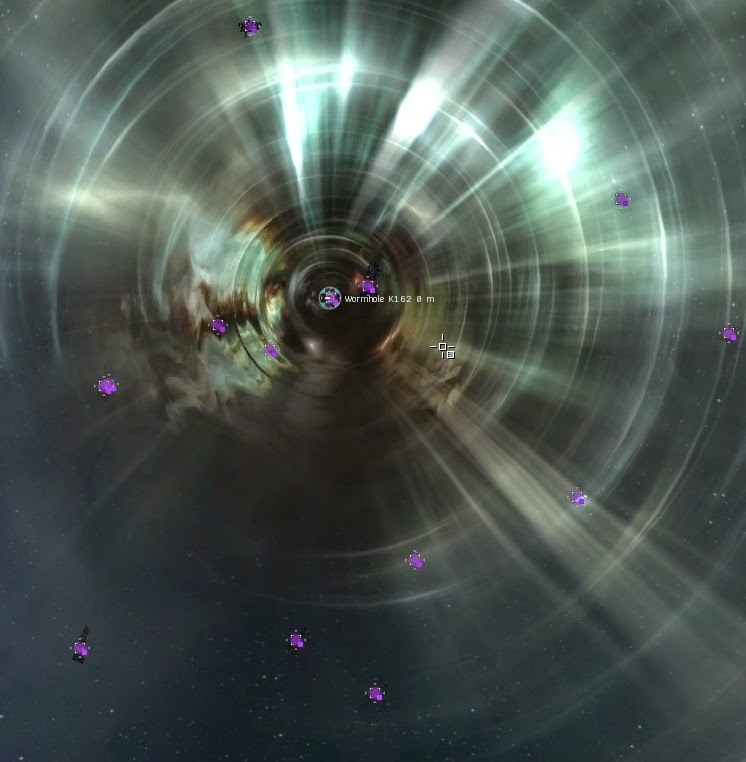 While Marmite fleet comp is top secret beyond what we actually fielded (that's right there were more surprises that have yet to be fielded) it's safe to say that the wormhole concealed a Guardian, Falcon Ashimmu and 8 DPS boats. Wormhole group held positions even as our brothers were dropped upon. We had to rely on our Logistics to support the fleet until the order was given to jump. for this to work everything of value had to be grabbed and held before we jumped in. We held our position knowing just how perilous the bait fleets position was. Finally points were called on all major targets and we poured through the rift in space and rushed to help our brothers with their struggle. As we landed they realized their mistake and tried to get away while scrambling to bring out all their neutral logistics. We held them down and hammered jimmy 15 in his Bhaalgorn to try and break it quickly but the reps were too much. Realizing this Fybs called a hard switch to xXDewayneXx in a Guardian. It broke so quickly we all did a double take. Well all except Fybs who was already calling the next primaries and we hurried to get on with it. Tora and Wyper in the neut boats out neuted the Bhaalgorn and removed its effectiveness from the fight. They began to fall like dominoes in a line and those who hadn't run at the first sign of trouble died. After a completely one sided battle where they failed to kill even a single one of us we looted the field, popped the wrecks to deny even a single ISK to the losers and headed home with the loot and our heads held high. It was a good day. All in all if their Guardians were fit properly the fight may have gone on longer. But due to poor Guardian fits and possibly overtaxed players trying to multi box more then is efficient our Neut boats out neuted and dried up the Bhaalgorn removing its effectiveness and while our Guardians held up being primary their Guardians with full reps couldn't take the heat from our drones and long range T3's. After we collected ourselves we studied the fits our enemy used and were shocked. The fits made no sense and were some of the worst any of us had killed in a fleet engagement. At best they could be called buffer fits although their buffer could have been vastly improved by improving the resists on them all. No wonder the Guardians couldn't keep each other up. Nice blog. Good job by POH for kicking Saeger out. "While the war is not over and will not be until what little of POH is left manages to get ISK positive"
tldr: huge essay about a single bait+blob fight, while conceding Marmite will still lose the war (again) to a "failscaded" group. P.S. Pursuit was ISK+ship positive in this war before you even posted this. Doesn't make the comment any less true either. Children and their egos.